Hi,my name is Grzegorz Czarnecki. Currently I reside in Maspeth, New York, but originally I am from Poland. Ever since my youth I have had a profound interest in carpentry. The job of designing and creating all sorts of finished products from wood gave me a feeling of great satisfaction and fascination. 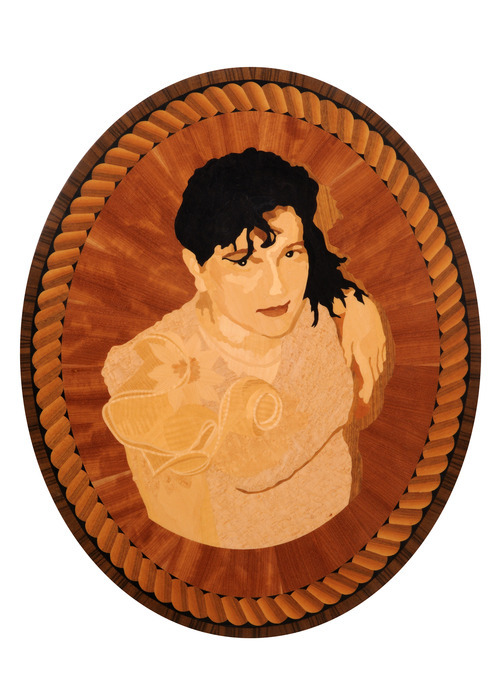 When I was 15, I first encountered the style of marquetry. My love for that form of art and, what I quickly discovered, great skill in the field, that I had, opened up a whole new world to me, one which I knew I had to explore. 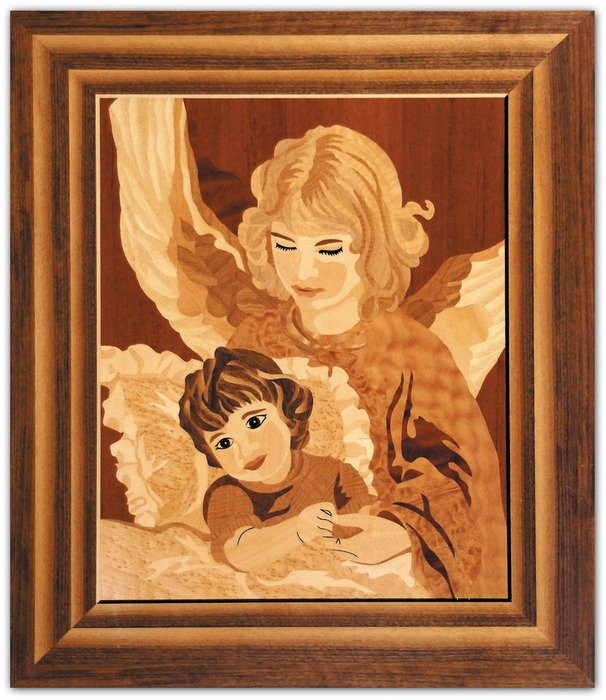 MARQUETRY or wood decorative artistry is considered to be one of the most difficult arts. Besides unrepeatable skills, it requires patience, engagement, and unprecedented precision from a craftsman. 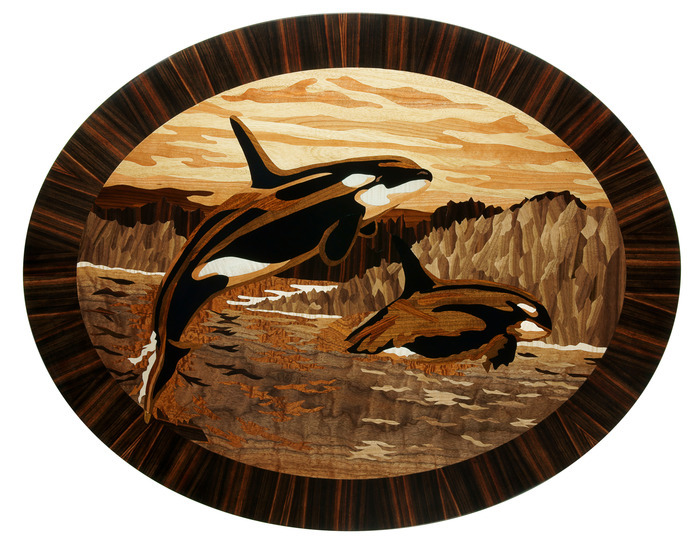 A beautiful item of marquetry is the fruit of a long and detailed process of picking, cutting, placing, and gluing which takes a long time. In a traditional technique, different design elements are cut separately in an attempt to reduce a gap left by a knife´s blade. As a result, perfectly fit together pieces show no visible signs of insertions and blending together, they create one solid surface. A real artist is able to combine factors such as grain, color and texture of materials to render desired aesthetic results as hi would be using a palette to paint paintings. 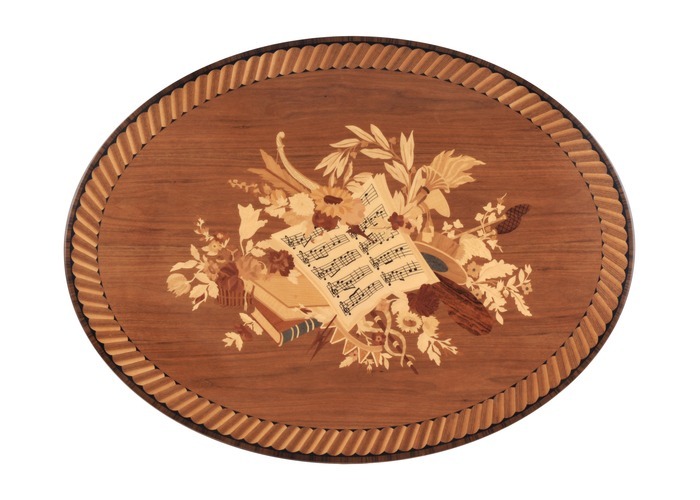 MARQUETRY or wood decorative artistry is considered to be one of the most difficult arts. Besides unrepeatable skills, it requires patience, engagement, and unprecedented precision from a craftsman. A beautiful item of marquetry is the fruit of a long and detailed process of picking, cutting, placing, and gluing which takes a long time. The art panel is covered with 2 coats of sealer and 5 coats of a high gloss port cat lacquer, sanded between coats and rubbed with 600 & 1000 wet/dry sandpaper then machine polished to a high gloss finish. The motive for Godfather was taken from a central part of the King Louis XV´s desk which dates back to 1769. All the details, including the musical notes (real song from Godfather move) were done completely from veneer. 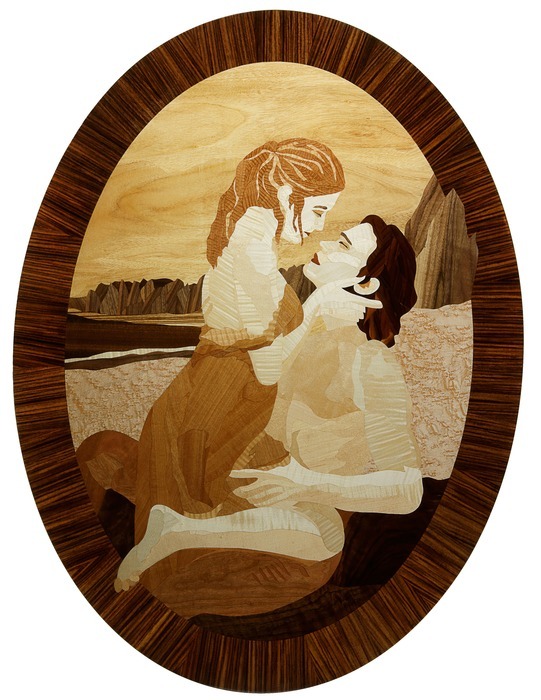 I spent a lot of time picking, cutting, placing, and gluing only natural wood veneer to create my marquetry. Creation of the portrait Agnes which looks like a real photo is a long and tedious process. Each piece was cut out with the utmost attention to detail. Then all the pieces were assembled and re-cut. The pieces are normally cut in variety of ways.